Max. 100 Watt • available in 3 variations: with a foot dimmer, a hand-dimmer or a foot switch. 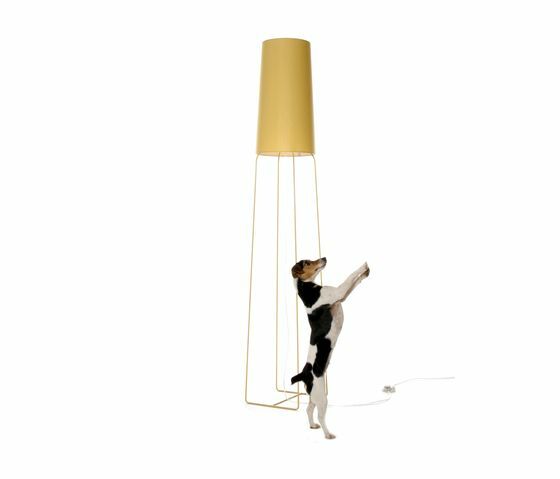 (More information about the dimmers see page 70) • available in 13 colours • made of powdercoated steel wire and a chintz-covered shade.